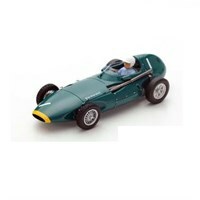 Spark 1:43 resin model of the #14 Vanwall VW2 as driven by Maurice Trintignant in the 1956 Monaco Grand Prix. 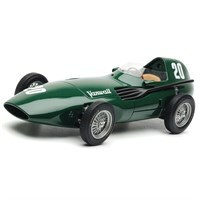 SMTS 1:18 resin model of the #20 Vanwall VW57 as driven to victory by Stirling Moss and Tony Brooks in the 1957 British Grand Prix. 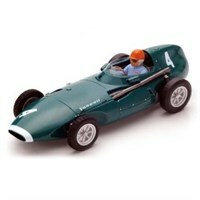 Spark 1:43 resin model of the #4 Vanwall VW5 as driven by Tony Brooks to victory in the 1958 Belgian Grand Prix. 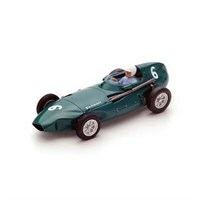 Spark 1:43 resin model of the #6 Vanwall VW57 as driven by Stuart Lewis-Evans in the 1958 Belgian Grand Prix. 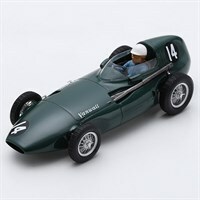 Spark 1:43 resin model of the #1 Vanwall VW57 as driven to victory by Stirling Moss in the 1958 Dutch Grand Prix.